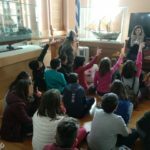 For one more year, at the Maritime Museum of Crete is organized Educational Programs for Primary School students. Since 1996, for the first time, their main goal is the dissemination of the Maritime History, and to date, through various activities, they are enriched and differentiated accordingly. As in previous years, the response was great and the programs were attended by students from both Chania prefecture and Rethimnon prefecture. For the year just completed for the first time, Anniversary Educational Programs of specific subjects of Naval Tradition and Local History were elaborated and implemented. 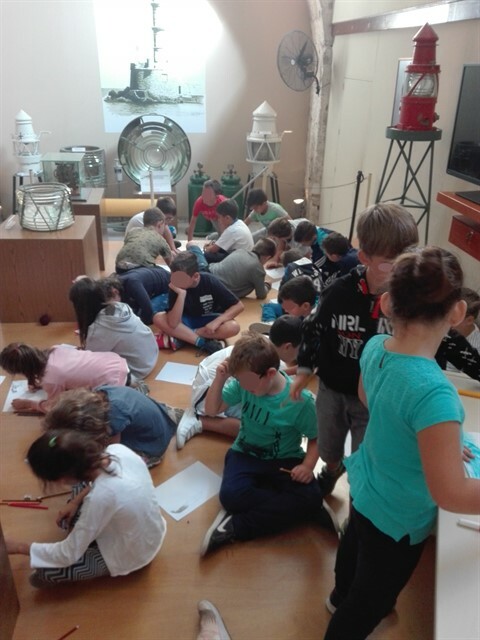 We are particularly pleased that these programs, although a new project for our Museum, have been supported by the school community and have attracted the interest of both teachers and students and give us a new impetus for their continuation. As in previous years, this year we have the honor and pleasure of having the support of the Directorate of Lifelong Learning, Employment and Commerce of the Regional Unit of Chania, Region of Crete, and of Chania Primary Education. 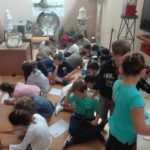 Since the beginning of the school year, and in particular from the beginning of October 2018, until the end of the year, 100 educational and anniversary programs have been held, of which 1695 students honored us with their presence and we are very pleased that both our young friends and teachers, show how to participate in the efforts made to make the Museum a pleasant, creative and teaching space. Specifically, kindergarten children have attended the programs “The Magical Marine World” and “Small Sailors in New Adventures”, students of the 1st Primary School programs “Sea Turtles” and “Sailors for a Day”, “The sea emits S.O.S.” and” It was a small boat (seascape) “, for the 3rd ” Traveling to Minoan Civilization “and” Coast Guard “, for the 4th “Ships of Ancient Greece” and “The Ships with their story “,” Take a walk in Byzantium “and “Let’s go for a walk in Chania “. For the 6th Primary School the “History of the Balkan Wars” and “History of the Battle of Crete”. At the same time, the Anniversary Educational Programs “Let’s celebrate the Flag of Creece”, “Union of Crete with mother Greece on 1/12/1913”, “From Poseidon to Agios Nikolaos” and “Our decorated ship” took place. The Educational as well as the Anniversary Educational Programs were designed so that our little friends discover the rich and glorious History of our place and taste moments from our naval tradition. The principles that govern our programs to achieve this goal are the child-centered and interdisciplinary approach, the experiential way of learning, the activation of the perception, imagination and the senses of the children themselves. 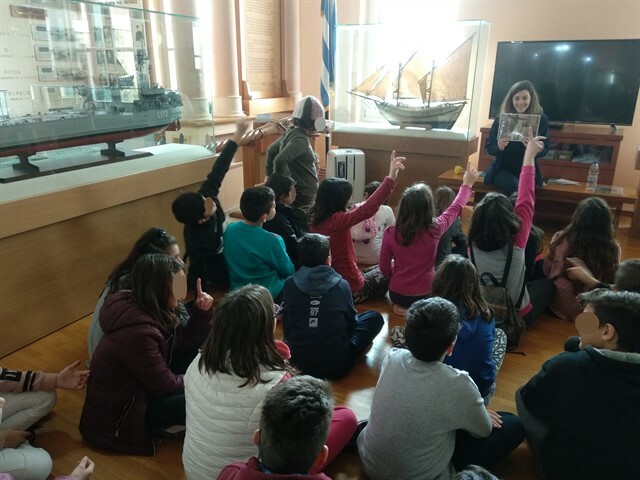 Our educational activities are tailored to the needs and capabilities of each age group, inspired by important events in our country’s history, our rich marine environment and our nautical history. We feel obliged to warmly thank all teachers for the confidence they show us through the active participation of their students in our programs. We, on our part, promise that, with the same warmth, strength and love, we will continue our effort to bring children as close as possible.